all bedding, cutlery, pan, plates stay on boat. GRP river cruiser for sale in France. 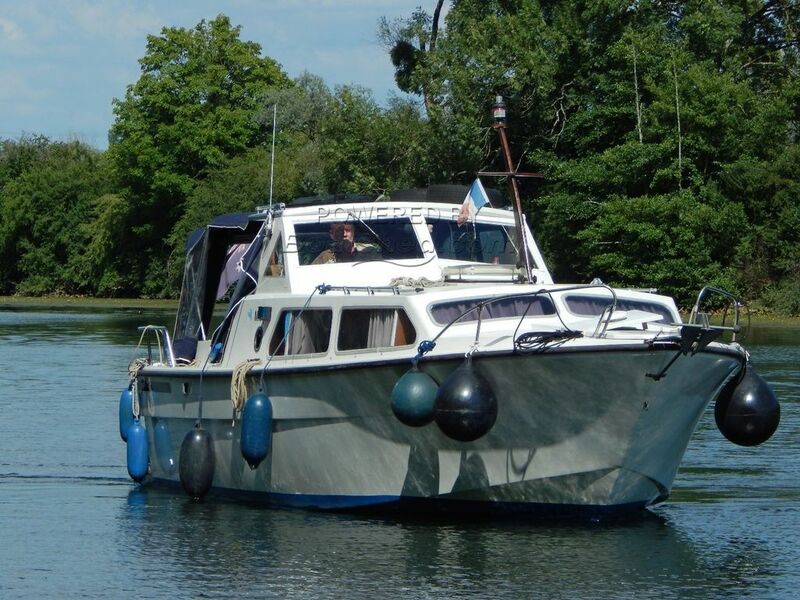 Boatshed Bourgogne is pleased to offer this river and canal motor cruiser FLEVO for sale. An ideal simple cruiser for cruising the French waterways. Comfortable and practical for a couple and occasional guests our vendor has cruised with 6 people on board. All the essential you need are on board and every things functional or multi-functional on this boat. This 1986 river cruiser very similar to English cruisers has been well looked after by a retired maritime professional and dry stored for 9 months every year. The owner will leave everything on board, bedding, cutlery, pans, cooking equipments. Lots of tools and engine spares provided. One could come on the boat and go. This Dutch Motor Cruiser FLEVO Waterland 850 has been personally photographed and viewed by Graham WHARMBY of Boatshed Bourgogne. Click here for contact details.